2008 Harley-Davidson 105th Anniversary Dyna Wide Glide: 2008 Harley-Davidson Dyna Wide Glide featuring the 105th Anniversary package. 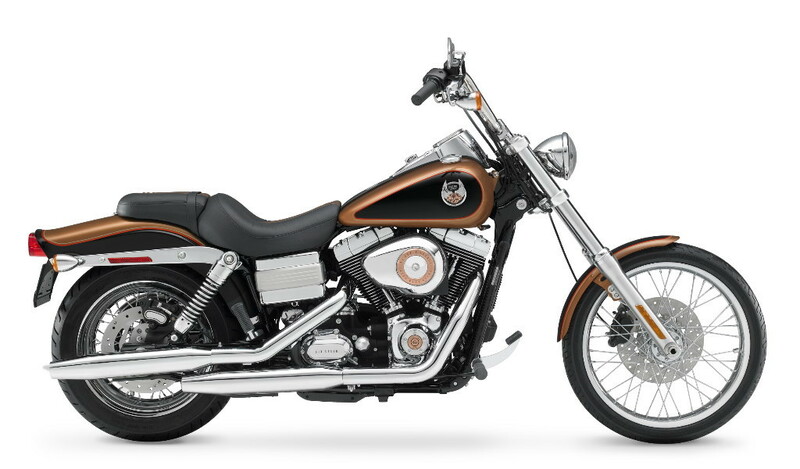 To celebrate the Harley-Davidson 105th Anniversary 14 serialized models featuring an exclusive Anniversary package will be built. 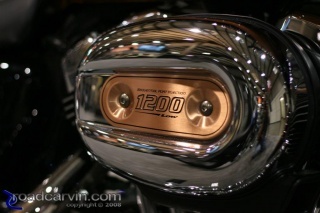 Harley-Davidson has been celebrating Anniversaries by building motorcycles with special features as well as throwing big parties for a long time. This Anniversary coincides with the 25th - Silver Anniversary of H.O.G Harley Owners Group and should provide the best party to date and features some great looking Anniversary models. 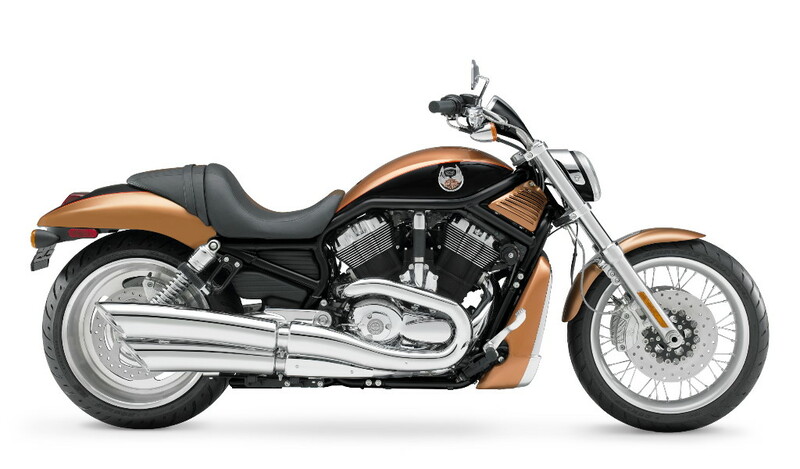 The production numbers for the for the 105th Anniversary models have not been set at this time, however they will be exclusive and most models will have a their Anniversary serial number mounted on a special badge on the motorcycle. 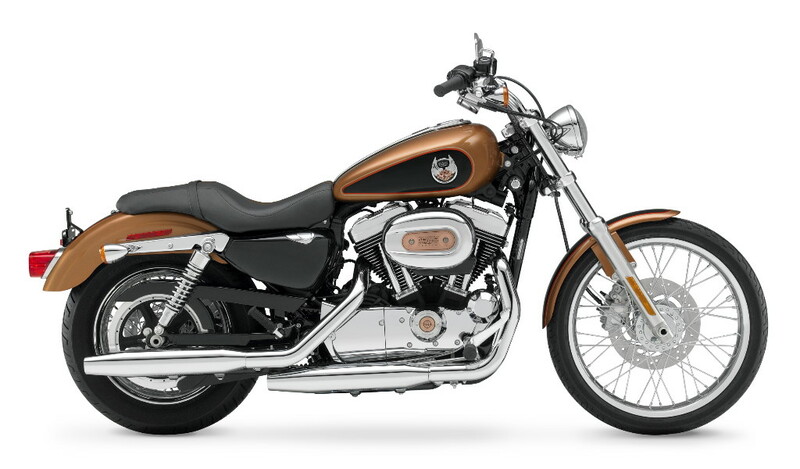 All 105th Anniversary models will feature the exclusive two-tone paint paint scheme of Anniversary Copper and Vivid Black and some models will feature aluminum wheels painted Gloss Black. 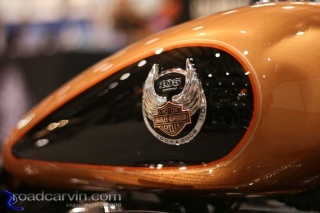 Additional 105th Anniversary bike features include seats and pillions with copper vinyl inserts, copper bar and tank shields and 105th Anniversary badges on the air cleaners. 2008 Harley-Davidson 105th Anniversary V-rod: 2008 Harley-Davidson 105th Anniversary V-rod. 2008 Harley-Davidson 105th Anniversary Sportster Custom: 2008 Harley-Davidson 105th Anniversary Sportster Custom. If you have been waiting for a special occasion to buy your first Harley-Davidson motorcycle or you want to add another to your stable, one of these models could make it a very special year. Author: Dwight Domonkos /// submitted on July 16, 2007 - 11:21pm. Submitted by Reggie Cole (not verified) on June 9, 2008 - 6:40pm.